Have you or anyone you know been feeling over-medicated lately? 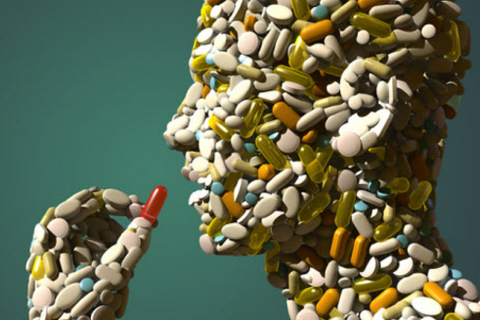 Under pressure from the pharmaceutical industry and related entities that capitalize on human fears and emotions, more than 45% of U.S. adults are taking multiple prescription drugs to control non-pathological conditions that are essentially benign variants of normal. Drawing on our observations and experiences in conducting anthropological research in clinical settings, we will consider the logic and some of the practical forces behind these trends. Core Conversation participants will be encouraged to discuss their first hand experiences with these diagnoses and treatments, and we will offer insights for interpreting them. Elizabeth is a human factors engineering researcher working for a Fortune 500 company in Austin, TX. She has broad knowledge and skills in human-computer interaction, eCommerce, and observational behavioral research, especially website usability and physical anthropology. Her favorite activities are to learn about new things, practice new technologies, research product user interfaces, and adapt new tools to optimize the user experience. She is also an expert on baboon behavior. Linda is a Harvard-trained medical anthropologist working at Michigan State University who has conducted numerous clinic-based ethnographic projects over her career that have included a focus on health care for minority patients and on lay and professional understandings of genetic concepts, especially as applied to minority populations. When Linda is not teaching or doing research she enjoys canoeing, kayaking and being a woods woman in a remote cabin in northern Michigan.